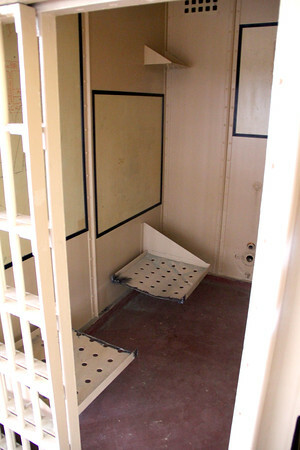 SOLITARY CELL: This is an example of what will eventually become a two-person dining area complete with table and seats. A table will fit between the two seats which used to be a bed before it was welded in half. Frames on the wall hold original graffiti in their borders from former prisoners.